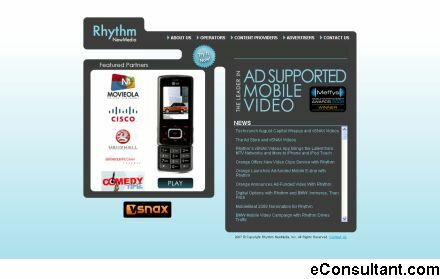 Description : Rhythm is enabling ad-supported mobile content with a broad suite of mobile advertising solutions for operators. Rhythm’s technology enables advertising that has broad reach, sharp targeting and precise frequency management. Rhythm automates key business processes and enables measurement and reporting to each member of the mobile advertising value chain. In addition, Rhythm sources content and sells advertising on behalf of operator customers.